Free fuel / full charge on collection, well it cost about £1 to charge! UK car originally supplied by Smart of Birmingham. 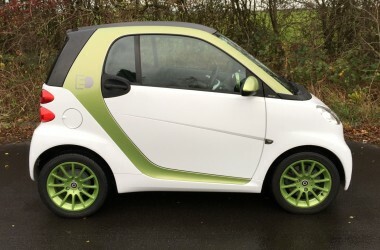 Very rare opportunity to buy a factory Smart ED (Electric drive), we have looked on all the usual car selling websites and we cant find another for sale anywhere. Retail price of this car is over £10,500. There is no battery rent or any other hidden charges. Being an ED it also has electric power steering. Very striking colour scheme of White over Electric Green that looks great in the flesh. Smart ED’s are passion spec so have air conditioning, rear luggage cover. It also has the optional extra widescreen Sat Nav, Radio. With plug in for Iphones, ipods, usb’s, micro memory cards. Bluetooth so it pairs with your phone to make call or listen to music. Its completely unmarked and looks like a new car. All consumables are perfect tyres, brakes you hardly use due to the regeneration of the motor on the over run. Comes with charging lead with UK 3 pin plug so can be charged from your home, place of work etc. It does around 80 miles to a 100% charge. To charge it takes 6 hours from a standard house hold 3 pin UK plug. Although this is actually a lot better than it sounds as it charges like a mobile phone. I.e fast charge up to 80% then trickle charge for the remaining 20% so in reality it takes about 2-3 hours to get 80% charge. 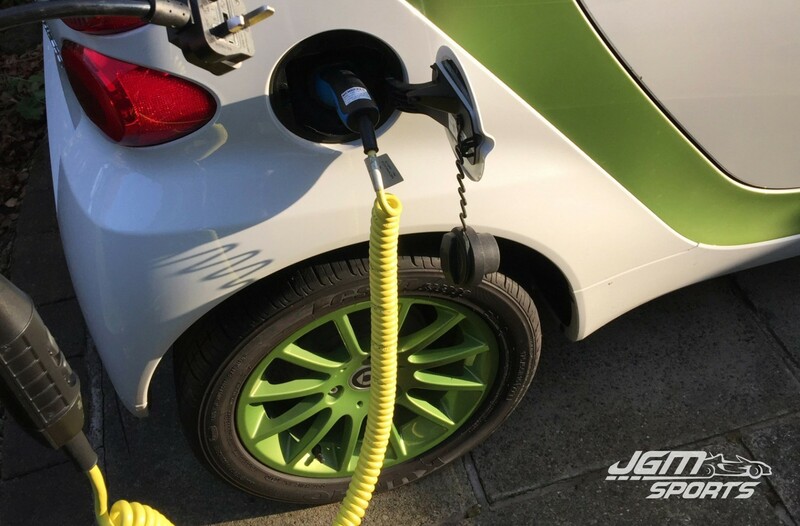 Charging time is faster from a fast charge electric car point although this is something we have never tried or used. Its just passed its first MOT last week with no advisories or problems. This would be a perfect city car, town car or island car. We have used it on the motorways with no problems. Obviously with the range of the car being 80 miles maximum if you live further away from Cheshire we can arrange to get the car delivered to you. For an Idea on price, London is around £250 cost price.